Bus routes serve as lifelines for rural communities across the EU, where geographical isolation is a systemic issue that crosses age, economic, and educational boundaries. People who are unable to drive or afford to drive, such as children and the elderly are just two examples of groups who become cut off from the opportunities that large cultural centers provide. Further, countries and cities that are addressing the impact of climate change as it relates to pollution and smog caused by automobile fumes have alternatives to traditional diesel-powered bus and expensive light rail lines. The investment in Zero-Emission Buses (ZEB) addresses both issues by building community without adding to the burden of greenhouse gas emission. Public transportation and the infrastructure that supports it are a piece of the formula that create a livability rating for communities. Rural or remote outskirts face poverty due to the lack of nearby jobs, lack of access to higher education, and low income levels based on isolation. Without accessibility to employment opportunities, along with a range of basic services and networks, rural communities cannot grow financially. This cycle of transport and poverty is kept in place through geographic isolation and lack of industrial development in these areas. The lack of advanced health care can impact quality of life even further. Elderly people who need medical services that are not available in their community must go without or find a way to travel to bigger cities. Young people are limited to access quality education and training, thus face fewer options for employment and earning that makes them a livable wage. In this situation lies the formation of the problematic cycle that keeps rural communities disadvantaged and poor. People get by in rural places by walking or utilizing motorcycles and bicycles. This is because the distance from point A to point is B is walkable. However, when you have financial limitations that reduce your mobility that isolation becomes even greater. Imagine being an elderly person who cannot walk very well or suffers with balance issues. How do you get to the grocery store? How do you get to the doctor’s office? You don’t unless someone takes you. These fragile elements of rural communities become pillars of isolation and for these groups, there is no way out. What’s missing from that picture is the ability to afford traveling from the rural setting to larger communities. Part of the recipe for a feasible solution involves the cheaper cost of green public transportation systems. The growth of populations is not expected to be within megacities. It is not expected to be in urban areas. It is expected to be on the outskirts of cities in low-density zones. The cost of driving to work is expected to rise. The length of the distance to drive to work is expected to grow longer. The cost to municipalities for pollution, road repair, mass transit, and the infrastructure to handle all of this is expected to grow. Congestion is expected to get worse on roadways. These are some of the bona fide points that drive the need for Zero-Emission Buses (ZEB). One of the benefits that larger communities realize is that buses grant businesses access to cheaper labor. In turn, young people have access to more employment and educational opportunities, and companies benefit by the access to affordable labor. Because bus transit is more affordable the cost of owning a car, they provide a literal lifeline to the elderly who can ride the bus into a larger city and have access to specialist and more comprehensive healthcare. That influx of new patients also helps boost the local economy. Transportation systems are key components that build community by accessing and linking communities together. Zero-emission buses are bridges. They are lifelines that not only lend isolated communities access to large communities and the services that bigger cities offer but also allow the community to grow. They make it possible for the young to reach further. They allow the elderly to receive advanced medical help such as therapies that help improve mobility. They are an inflow of opportunity and that flow works in both directions. Alberta, Canada: The use of ZEB is part of their growth plan to address road congestion, provide access between jobs and workers and to encourage people to live in smaller communities instead of high population density areas. California’s Clean Transportation Initiative: The California initiative aims to address two major concerns for the San Joaquin Valley – the reduction of traffic along the area’s freeways, and the reduction of greenhouse emission and ground smog throughout the area. A side goal for the project is to reduce California’s dependence upon foreign oil. California is the third largest oil producing state within the United States. Moving to clean energy vehicles and ZEB helps reduce the need to import oil from overseas. Poverty is a cycle that is oppressive. It requires a large infusion of cash if money is how people escape poverty. That is not a likely to happen to a community. Transportation is the only real opportunity to break the cycle that is poverty. Zero emission transportation should not be privilege to owners of expensive electric cars. ZEB work to increase access because they are less expensive to operate and they do not add to the environmental problems that larger communities face. The cost of investing in ZEB is offset by reducing rural road congestion and congestion in inner cities. There is a drop also in the cost of road repairs as buses remove the need to drive longer distances for work, shopping, entertainment, and healthcare. There is the influx of cheaper labor, more consumers, and specialty consumers such as medical patients. 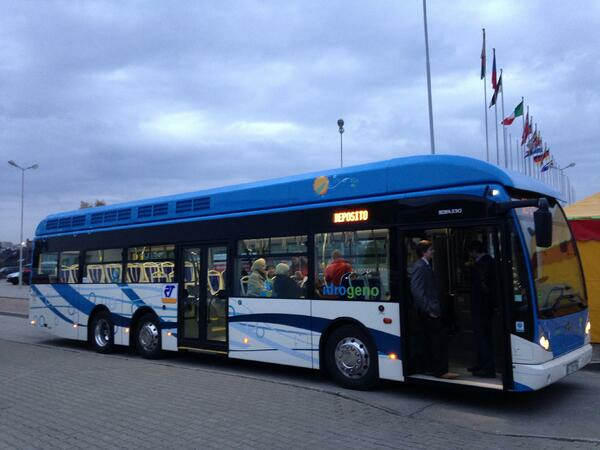 Zero-emission fuel cell electric buses are a win-win. They help to remove the cycle of poverty by providing affordable access to larger communities. They help to reduce the costs that larger communities face. It is the merging of two societies that perhaps benefits the most when transportation infrastructures grow. To learn more about the process of converting conventional diesel-powered bus fleets to zero tailpipe emission fuel cell buses and the comparative benefits offered by hydrogen fuel technology, download the free whitepaper below. Overview of the current barriers to a wider adoption of fuel cell electric buses and their benefits for UK bus operators.